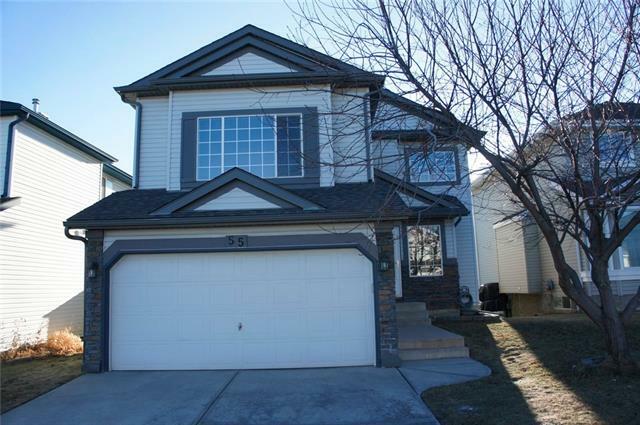 "Walk out and fully finished, welcome to this well kept 2 storey family home in Panorama Hills. It features 3 bedrooms up, large master bedroom, ensuite with separated shower and bath tub, large bonus room with gas fireplace, main floor with large living room, formal dining room, spacious kitchen and eating area, deck off breakfast nook, walk out basement has been fully finished with huge recreation room, and front attached garage. It has been fully fenced and nicely landscaped. It closed to playground, public transit, schools, and shopping. ** 55 Panorama Hills Place NW **"